Above the Pearl Tattoo, LLC. An appointment-only Tattoo Studio in Portland, Oregon, since 2007. 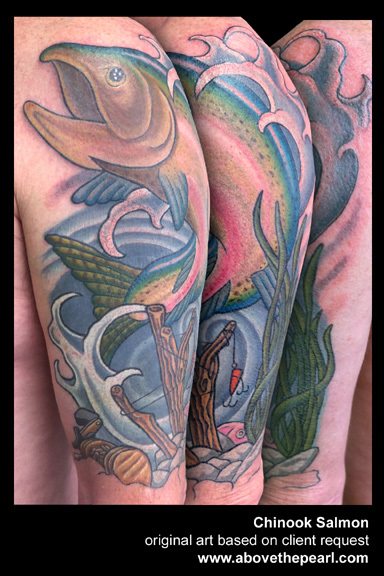 Some of our tattoo specialties include Custom Tattoos, Cover Ups, Reworks, Mastectomy Work, Scar Camouflage/Cover, Sobriety Milestones, First Timers, the Seasoned Collector, and the Gracefully Aging. 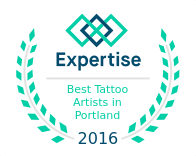 Above the Pearl Tattoo is a private, appointment-only Portland tattoo Studio. with parking, a coffee shop downstairs, and is vegan friendly. 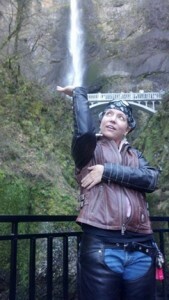 just minutes from Downtown Portland. Above the Pearl Tattoo got its start in 2007 in NW Portland Oregon, just above Portland’s Pearl District, and relocated to Milwaukie, Oregon in 2014. The studio got its name from a yummy egg dish on the menu of Emanon Cafe, called the ‘Above the Pearl Scramble’. I am a sober, well-rounded artist, working within many mediums and disciplines. My love affair with tattoos began in 1986, at the age of 14. I got my first tattoo in 1988. After going to college, and spending 15 years in the graphic design field, I was ready to pursue my childhood dream of being a tattoo artist. In 2005 I got my tattoo education/apprenticeship from my teacher and mentor, the infamous Rio DeGennaro, learning the art and craft of tattoo, along with the strictest tattooing and sanitation regulations in the world. Rio had been tattooing since 1962. Like his father before him, he worked down on the Pike in Long Beach, California with Bert Grim, among others. Rio passed away in June of 2014 at the age of 73, but his legacy lives on. Copyright © 2019 Above The Pearl Tattoo Studio All Rights Reserved.